She was ruler of Neopia. 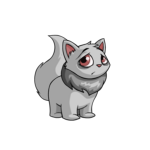 The faeries were all gone, and she was the one making sure no neopet would have to ever suffer under the faeries' tyranny. She was up on stage, in front of adoring pets. Then suddenly they stopped cheering. The air went quiet, even eerie. Then the crash filled her ears. She was watching Faerieland burn, just as the arrogant faeries deserved for not lifting a finger to save Neopia ever. It felt good, all her hard work had finally paid off. Finally, she was never going to be second best to some faerie. "Oh, Xandra." The voice sent shivers down her spine. "I always feared this day would come." She felt her body go stiff. NO! she cried. Fyora turned a deaf ear upon her. Now she was in a garden, a beautiful prison. The same pets that had been cheering her passed her with a smirk or a laugh. "She's in rehabilitation," one pet told another importantly. "She's insane," a Gelert said, staring at her. "Turning the faeries to stone and releasing those horrible wraiths." Xandra's nose filled with the smell of dirt. She absent-mindedly felt around for her glasses. Then she remembered that they had probably been crushed under the flaming Faerieland. She sighed and rubbed her eyes with a knuckle. She froze. Xandra strained her eyes, but she was sure of one thing. That stone statues could not move. All Xandra saw in the starry night was a pair of blood red eyes. "Okay. So let me get this straight. When Hanso destroyed the artefact, it freed you along with the other faeries?" "Yes. And naturally, I returned the favour by freeing you." "And so? Now I'll have a million neopoints on my head." The Darkest Faerie grinned wickedly. "Exactly. Xandra, I am prepared to offer you a deal." Xandra eyed her cautiously. "I will give you this." Xandra looked stunned as the Darkest Faerie pulled out a silver disk, with a glass centre and intricate carvings around the rim. The very same artefact that turned her to stone. "I thought it had been destroyed!" she protested. "Ah, but there are many all over Neopia. After all, I was the one who designed them." "And why did you never use them?" Xandra could tell she had tread onto a dangerous subject. "That doesn't matter right now," she snapped. "So, do you accept?" "What happens if I don't?" Xandra asked, already knowing the answer. The Betrayer of Altador smirked. "There's always a nice spot in Fyora's garden for you." Xandra sighed. "What is it, then?" Xandra paced around the cave that they'd camped in. She would never admit it, but even she thought it was beautiful. Complicated carvings had been etched onto the worn rock walls and ceiling, no doubt be some faerie magic. Twice Xandra had heard voices in one of the tunnels, scaring her out of her wits and casting an invisibility spell on herself. Later she had cast an illusion, making it seem like the pet had hit a dead-end. Xandra glanced down at the newspaper in her paw. She had already read it cover to cover, already had recovered from the shock that a year of her life had been wasted being a statue. But what made her most frustrated was the headline on the cover. Xandra, famous villain and crasher of Faerieland, was not in her usual spot in Queen Fyora's garden this morning when the Faerie Queen went to check. "I urge the public not to panic," Queen Fyora told reporters. "I just want everyone to remain watchful." Xandra, sorceress with massive dark magic, wanted to rule Neopia so she turned the Faeries to stone; the only ones that could stop her. But Hanso, a quick-witted thief, quickly outsmarted the insane witch by turning her into a statue using the artefact that she had turned the faeries to stone with. Brynn and Hanso, heroes of Faerieland were unable to comment due to their mission to find the other artefacts so no one would ever use them again. But the question still lingers, what will this villain do to achieve ultimate power? "Rubbish," Xandra spat. "I don't even look like that," she added, crumpling up the newspaper and the speckled Xweetok on the cover. She threw it to the ground and aggressively kicked it. Neopia was still so black and white, and she was the darkest shade of black. It fell into a puddle with a faint ping, as if it was a neopoint. Xandra sighed, walking towards it. What's the point of being angry, Xandra? her conscience told her. You really do deserve it. "No, I don't!" Xandra snapped. "I was trying to help the pets, and this is the thanks I get?!" She covered her mouth, looking at the entrance of the cave. "And now I'm talking to myself," she muttered to herself. "Maybe I really am going insane..."
Xandra stooped down by the puddle, which was giving off a faint glow in the dimly lit cave. She saw a distorted version of her face, which she ignored. She had already wasted so much time over little things, and it was only a matter of time until she was found. She felt her face start to melt and her body started to shoot up. It was agonizing, but Xandra was used to the pain. Her features bubbled, and stretched. She closed her eyes and bit her tongue to keep from yelling with pain. Xandra panted. The pain had stopped. Hesitantly, she opened her eyes and examined her reflection. A speckled Xweetok didn't stare back at her anymore. Instead, it was an air faerie. She smirked, satisfied. She wasn't keen about this disguise, but becoming a winged tyrant seemed like the obvious ruse to sneak into Fyora's castle. The only thing that she couldn't seem to alter was her eyes, which stubbornly remained violet. Xandra busied herself altering her clothes to fit the style of the tall faerie. After she finally looked fitting, she stepped out of her cavern. "Ah, you are finally done." The Darkest Faerie smirked. "Tonight, if all goes our way, Neopia will finally be in our grasp!" The plan was supposed to be fairly straight forward. Go in, deal with Fyora, and go out in her place. "What if Fyora escapes?" Xandra had asked. The Betrayer laughed at the idea. "And what if Fyora calls some heroes?" Xandra asked again. The Darkest Faerie face was not so amused at that idea. "I have ordered my sisters to deal with any heroes," she had spat. Xandra knew of a million other things that could go wrong, but she didn't bother to mention them. Xandra walked into Fyora's castle, Darkest Faerie trailing behind her invisibly. She fluttered up to the Earth Faerie secretary, who was sorting papers. "Yes?" she asked briskly, looking up. "I want to see Queen Fyora," Xandra said, trying to look scared and innocent. "Her majesty is not taking guests at the moment. May I take a message?" she replied, readying her quill. "But this is important!" she tried to protest. "I can only tell Queen Fyor-"
"Tell me what?" Xandra felt her insides go cold at the voice. She turned to face Queen Fyora, making her face look nervous, which really wasn't all that hard. "Tell me what, young one?" Fyora pressed. "My Queen, why are you here? You should be in the Hidden Tower or somewhere safe," Xandra stalled. "I do not care for my safety, I only care about my people's..." Fyora trailed off, scanning the faerie's face. Her eyes narrowed, meeting Xandra's purple ones. "What is your name?" "My name is..." Xandra stared out around the room, eyes screaming DO SOMETHING! Then she heard an explosion. Xandra dived down to the ground, watching the chaos form around her. Fire was spreading throughout the room, twisting and turning shades of indigo to pure black, burning with century's worth of the Darkest Faerie's hatred of the place. It would soon engulf the whole castle, turning everything to ash. Xandra opened her wings and flew for all it was worth. "Right behind you," the Darkest Faerie cackled invisibly, obviously enjoying the destruction. Xandra veered down the hallway, only half aware of where she was heading. She blasted open a door and cast a fire-proof shield over the door. The walls had been carved with ancient faerie languages and spells even she couldn't recognize. Then, the air faerie sank to the hard marble floor. She was melting. The agony was horrible, Xandra screamed in her mind for it to stop. And then she was on her knees, a speckled Xweetok again. Fyora was high above everyone, her magic swirling. She'd had cast a spell to reveal anyone in disguise! "Xandra!" the Faerie Queen yelled. "I knew this would be the first place you would strike." Xandra had never heard her speak with such contempt. "She didn't do it alone, sister." Fyora watched stunned as the Darkest Faerie appeared before her very eyes. "Oh, look at this, Xandra," she sniggered, gesturing at Fyora. "Someone actually caught on quickly." The speckled Xweetok didn't respond. Her gaze was focused on Fyora. "Why did you lie to me?" she yelled. "I thought you actually cared once upon a time!" "You're the one that betrayed all of us," Fyora cried, not so elegantly. "You released the wraiths! You ruined Faerieland!" "Me? It was you and your winged tyrants that never helped Neopians in the first place!" "We make sure no dark creatures come out!" Fyora protested, losing her queenly attitude. "But what about when Dr. Sloth returned? What about when Maraqua was destroyed? 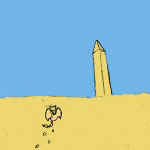 What about when Sakhmet disappeared?" Xandra demanded, magic ready at her paws. "Not to mention Krawk Island sinking," the Darkest Faerie added under her breath. "Where were the all-powerful Faeries when we needed them the most?" she asked, years worth of questions that she never had answered swirling in her mind. Fyora flew down to face her old pupil. "That is not true, Xandra. You know it's not." Before the speckled Xweetok could respond, dark bands wrapped themselves around the Faerie Queen. "You fool!" the Darkest said triumphantly. "Did you forget the real threat here? Why else would I bring her? For I, The Darkest Faerie will rule Neopia for once and for all!" The doors had been kicked down by a group of pets fur singed and burned, but all very alive, and very angry to see their Queen in ropes. Battle cries sounded through the room as they lunged at the first villain they saw... the Darkest Faerie. And so would begin the battle that would decide Neopia's fate. "KILL FYORA!" the Darkest Faerie screeched, wrestling with the mass of charging pets. Xandra ran towards the bound Queen, helpless in her ropes, magic crackling at her paws. This was it, her only chance to get revenge on the one faerie that ruined her life. Fyora's eyes were calm, as if her coming death did not bother her. But her eyes were filled with something Xandra didn't recognize. I know you, Xandra. This isn't you. You told me this was your home... what has changed since then? The Xweetok's purple eyes went hard. She raised her paw, and shot her magic at the Faerie Queen. The Darkest Faerie blasted the pets away with swift wave of her hand. "Stupid things. They'll be the first to go after the faeries when I'm ruler." She started to cackle at the sight of Fyora's lifeless body. "Good work, Xandra," she gasped in her evil mirth. Xandra did not hear her. A crash was ringing in her ears. What was her cause again? The deed that earned her the status villain, and got her trapped in stone? She had promised herself that it would be only for the neopets. That it would be for the better. And was this faerie going to do that? "What?" the Darkest Faerie said, looking at her. Xandra met her blood red eyes. "No. You won't do that." The Darkest Faerie's face quickly turned into a sneer. "And what can you do to stop me?" Xandra stare was nearly murderous. "This." She directed her hand at Fyora's lifeless body. Her eyes fluttered open as the stunning spell was removed. The Darkest Faerie looked stunned herself. Xandra's eyes were cold and defiant. "I am not the only liar here." The Darkest Faerie's hands lit with flames. "TRAITOR!" Her dark flames were met by a green blast. Magic exploded like fireworks as they battled, circling each other around the room. Both villains, but one not so sure of her place anymore. Xandra's breathing went ragged. She knew she was losing. She barely had time to block the Betrayer's dark spells. The Faerie's eyes grew malevolent at the sight of her weakened opponent. "You really think you could outsmart me?" She cackled. "Without me, you would still be a stupid little Xweetok who had no idea what she was dealing with. Without me and my artefact, you would still be nothing!" Xandra panted, mind spinning. The Darkest Faerie grinned wickedly at her, savouring her victory. Xandra kept on acting defeated. A flutter of worry danced in her mind. What if it didn't work? What if it backfired? She didn't care. Xandra summoned all the strength she could and fired her spell. The Darkest Faerie's face of glee froze. The spell wrapped around her body, with the very same blinding flash of light. What was left of the Betrayer was a statue, her fury frozen in time. Xandra was put into the Gallery of Heroes. Not that she cared, but Fyora had insisted upon it. And nobody dares disagree with Fyora. 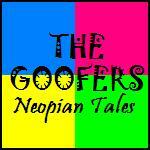 Neopia celebrated the Darkest Faerie's return to stone. Toasts were drunk to Xandra's name from the tops of Terror Mountain to as deep in the ground as Moltara. Pets and faeries alike paraded in the streets. Xandra watched them from the hospital tower. She wasn't hurt or sick. It was just a good excuse to stay inside, with her own thoughts. Fyora had assured her that her name had been cleared of all charges. That she could start over, make a better name for herself. It still left a bittersweet taste in Xandra's mouth. But she did know this. That she would use her second chance for good, and she wouldn't turn to such... extreme measures this time. Even if the world was black and white, she would try to be... a lighter shade of grey. The Sorceress would rise even greater than before.